Alejandro González Iñárritu feels by heart every inch of his conducted orchestra, his painted fresco, his wonderfully talented cast and crew: Iñárritu is the master of his game. “The Revenant” director Alejandro Gonzalez Inarritu has won the best director Academy Award — marking only the third back-to-back Oscar win for any director. The 53-year-old has joined directing icons John Ford and Joseph L. Mankiewicz as the only helmers to win in consecutive years. Alejandro González Iñárritu is unafraid to push the emotional and thematic envelope—in his case, by submitting the mostly ordinary people that inhabit his films to the most extraordinary tests of character. Iñárritu has directed is at least good — some are very good and some, even, exceptional. Interestingly, before ‘Birdman’ came out, many were were skeptical of his talent; and that was not because he lacked any qualities of a good director, but mostly due to his inclination of making dark-themed movies — that weren’t palatable to many critics and cinephiles. ‘Birdman’ is dark too, but it’s funny and much easier to like. But his first three films (‘Amores Perros’, ’21 Grams’ and ‘Babel’) are referred to as Death trilogy — which is an indication of the sheer dark nature of the films — and therefore much difficult to like and appreciate. Exerting imperious control over minute details, the filmmaker puts his sprawling casts through the wringer, and inevitably draws out of them dramatic feats we had not known they could do. Whether or not you agree with the kudos he’s amassed in the 15 years since his first feature, it’s undeniable that the director aims for, and achieves, a level of on-screen intensity rare in current cinema, particularly with regard to performances. While “Amores Perros” certainly has the rugged swagger of a first-time independent filmmaker, you have to admire his bravado. The film is the first instalment in his Trilogy of Deathand where its real strength lies is in the cut-throat fashion in which it grabs the viewers’ attention from its opening moments and never lets go until the very end. 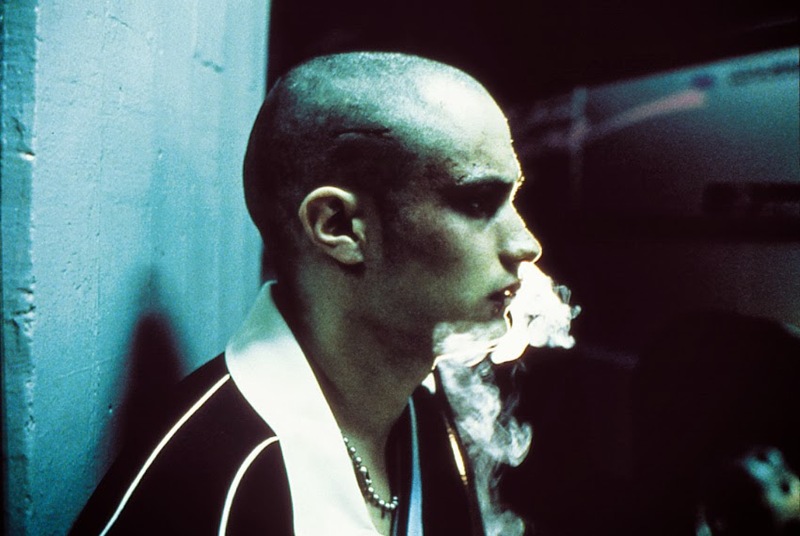 “Amores Perros,” a foreign language Oscar nominee in 2001, is exhilarating and full of life, pronouncing the arrival of a truly exciting independent filmmaker full of sound and fury. Three different people in Mexico City are catapulted into dramatic and unforeseen circumstances in the wake of a terrible car crash: a young punk stumbles into the sinister underground world of dog fighting; an injured supermodel’s designer pooch disappears into the apartment’s floorboards; and an ex-radical turned hit man rescues a gunshot Rotweiler. Amores Perros is a brutal reflection of love, loss, loyalty, betrayal, revenge, regret & hope, expressed through its characters’ dilemma in a highly compelling manner, which also offers an insight into the different sections of Mexican society. This instant classic may not be an easy sit for few due to its disturbing content but for its remorseless take on the fragility of life, this essential cinema comes strongly recommended. “21 Grams,” which refers to the supposed weight we lose as our souls escape our bodies when we die, represents an artist finding himself and perhaps going overboard in the process in this tensely melodramatic meditation on mortality. Like other Iñárritu films, this movie uses a nonlinear narrative to follow several intertwining story lines connected by a fatal car accident, presenting the characters’ lives as they are before and after the accident. Interweaving three different plot lines in little snippets to signify the irrevocable change their lives has undergone in the aftermath of the tragic event the story of 21 Grams concerns an emotionally devastated mother, a critically ill mathematician and a born-again Christian ex-convict. Naomi Watts is as volcanic as she is heartbreaking in her given role of a grief-stricken mother. Sean Penn is downright incredible as the ailing mathematician and pulls his role off with finesse. 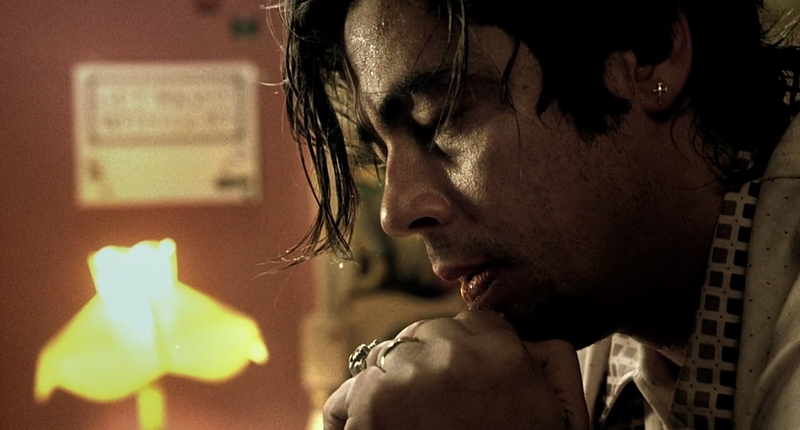 The film’s prominent strength is through arc of Benicio Del Toro’s Jack, an ex-con who has endured through a religious epiphany and has developed a strong relationship with god, a man who feels redeemed by his past sins, hoping to set a new chapter in his life and spread it to those who desperately need it, Inarritu and the film’s writer, Guillermo Arriaga, tests Jack’s faith, almost as if torturing him for enduring through this new path, to reflect once again that cruelty that exists in our realities, as he becomes involved in an accident, laying upon a significant weight of guilt onto his soul, and demonstrating how that impacts those close to him, notably his relationship with his wife, played by Melissa Leo. Following in the steps of two of his previous works, ‘Amores Perros’ and ’21 Grams’, Inarritu’s 2006 masterpiece ‘Babel’ serves as the powerful culmination of his trilogy of multiple interlocked narrative films. From its outset, just the title of “Babel” makes it clear that the fatally flawed quality of communication in the modern world ranks high among the primary concerns of the film’s director, Alejandro Gonzalez Inarritu, and writer Guillermo Arriaga. Despite the fact that we live in a world where we enjoy boasting about daily advances in technology, “Babel” illustrates superbly–via three intertwining stories set in four different countries–that when it comes to the simpler art of hearing, respecting, and exercising compassion for each other, human beings seem dedicated to moving backwards. The movie takes a close painful look at the barriers we maintain between ourselves; and, it identifies some of the consequences of refusing to sidestep such barriers long enough to see each other as human beings rather than as racial, cultural, or political categories. The international ensemble comprising the cast of Babel is never anything less than flawless. Adrianna Barraza shines pure genius in her performance as a Mexican immigrant whose devotion to her own family and that of her California employers leads to a nightmare of degradation and disillusionment. Brad Pitt as Richard Jones, Cate Blanchett as his wife Susan Jones, and Gael Garcia Bernal as Santiago have garnered suitable acclaim for their respective roles as products of one culture who find their fates suddenly imperiled by the parameters of another. At times language is the obvious barrier in question but more often than language is attitude in the form of verbal and physical hostility. As powerful and brilliant Inarritu’s first two films were, they seem to have naturally led to this quintessential masterpiece, “Babel” which happensto be a tour-de-force of cinematic poetry and complexity of emotion. As Uxbal (Javier Bardem), a single father and counterfeiter in Barcelona, sets his affairs in order—he’s been diagnosed with terminal prostate cancer—the volume scarcely rises above a mournful hush; the film’s most powerful moment, in fact, comes enveloped in silence. 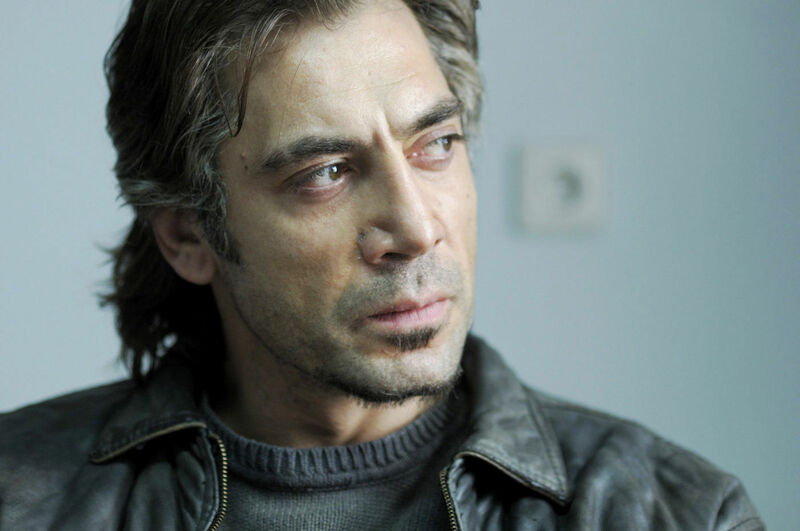 Biutiful is no less punishing, in emotional terms, than the director’s other work, filled with characters living and dying along the modern world’s ragged edge, but Bardem’s formidable, Oscar-nominated performance clutches Uxbal’s resistance to the struggles with a tainted reality and a fate that works against him in order to forgive, for love, and forever. On the road to redemption, darkness lights his way. Connected with the afterlife, Uxbal is a tragic hero and father of two who’s sensing the danger of death. Scruffy and straightforward, the film may lack the visual and narrative fireworks of the other titles on this list, but it remains the filmmaker’s most honest treatment of life’s unhappy accidents, in part because it refuses, mercifully, to play God. Tragedy and pain is Inarritu’s greatest asset; he finds comfort in exploring the vulnerable, desperate, and emotionally hijacked nature of his characters. 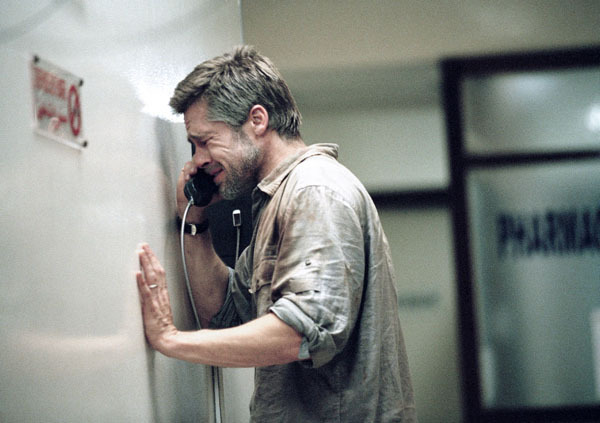 In the films mentioned he heightens the sense of drama, and without sacrificing the unsophisticated nature of his characters, allowing them to be stably driven, drawing out complexities that are beyond the individual’s consciousness, a vast and silent connection ties all of their stories. With each character, you will be drawn to their needs, desires, and failures, slipping into the moment that they presently resided, sitting along with them in their own particular journeys. Inarritu desires to keep his audience within the moment, unthinking of the plans that the characters have ahead; they soak you in their skin, establishing that unspoken existential association that enriches the experience. Alejandro Gonzalez Inarritu is the greatest director and filmmaker of the 21st Century. Without fail, every single entry into his portfolio of masterpieces ranging from ‘Amores Perros’ to ‘The Revenant’, has only reinforced that fact in my mind. How existential despair is coupled with an intriguing sense of loneliness in B.A. Pass? Previous story Why Aligarh is more than just a film about gay rights?